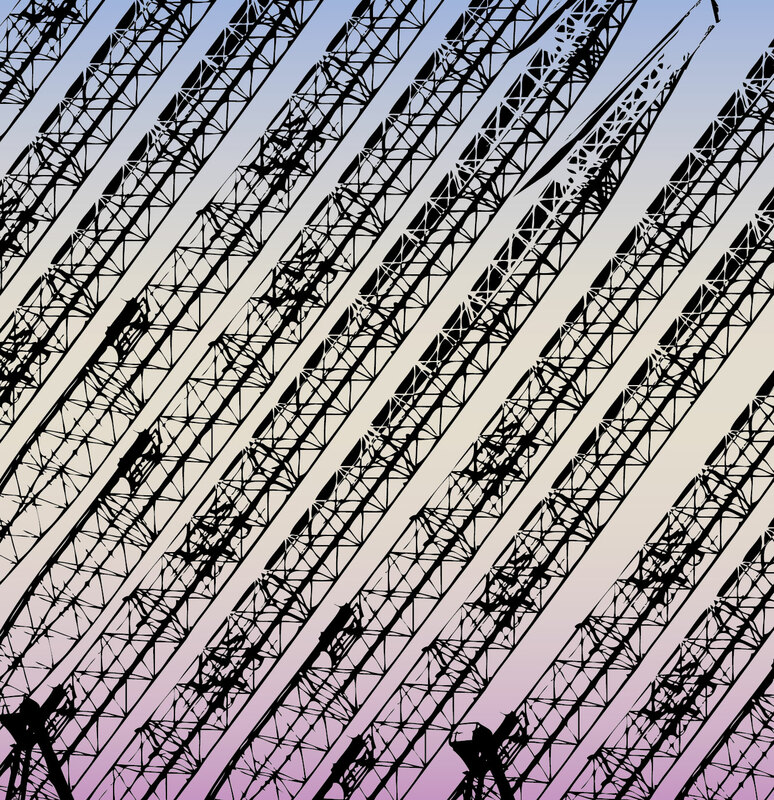 My name is Lucy and I really like cranes. I love Sydney, partly because I feel like I have no choice – because I’ve grown up here, it is part of me and has contributed to making me who I am. However, much like myself, Sydney is not without its flaws: there is a boorish obsession with occupation/property/what private school you went to, shared by many Sydneysiders, which feeds the perception that Sydney’s all about flashy appearances with no substance (this common Sydney criticism typically arises when She’s compared with Melbourne). I can see truth in these statements, but it’s up to the individual how much notice to take of it, and what part you play within it. More than that, Sydney is like any other living thing – not all good, and not all bad. If you’re willing to look, there’s beauty behind the ugly bits and ugly bits behind the beauty. Which brings me to cranes. Like all large cities, Sydney is a living thing, in a constant state of change. The urban landscape is continually evolving, as buildings are torn down/sub-divided/merged/expanded, depending on demand, the current Government and money. A veil of scaffolding is drawn across the street front as buildings re-dress themselves. Sometimes staying up for months or years at a time, the scaffolding itself becomes part of the city’s fabric. There are 2 large construction sites on opposite sides of Broadway, a main road that leads to Central Station and the CBD on one side, and to Glebe, Camperdown and beyond on the other. The site on the western side of the street is part of a major expansion of the University of Technology, Sydney (UTS). On the eastern side of the street is “Central Park” – a large residential and retail development on the site of the old Carlton beer brewery. The UTS site is still largely a gaping hole, and the Central Park site houses a sizeable block of scaffolding and a number of very large and impressive cranes moving materials from one pile to another. I pass these sites daily because I work and study at UTS, and I’ve developed an unexpected interest in the cranes that operate on these sites. These cranes are impressive for their size alone, dwarfing the buildings and people who stand below them. But it’s not just the size that is impressive – it’s the tension between their simultaneous bulk and grace, strength and delicacy, which makes them so fascinating to me. For large powerful machines, they move with a surprising elegance – slowly bending and raising as they collect and distribute. The long chains that drop down from the apex sway gently with the weight of the comparatively small pile of material hanging on the end. 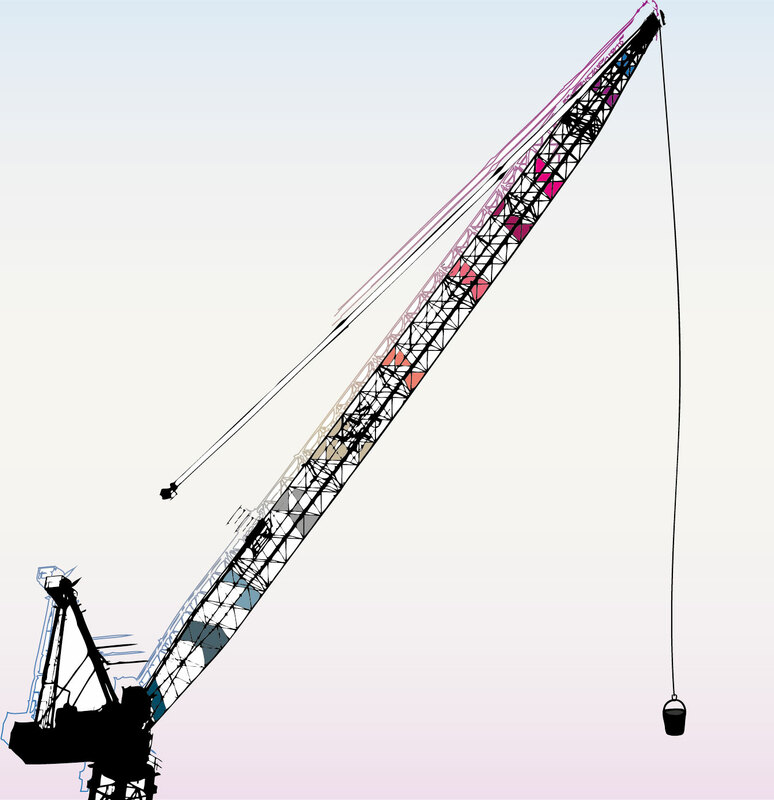 And though they are designed and engineered for utility and function, in my opinion cranes are also beautifully detailed – patterned with striking geometric shapes that separate the clear Sydney sky behind it into little triangles. If my waxing lyrical about cranes sounds odd to you, well, it probably is. Judging by the looks on the construction workers’ faces as I walk past the site with my eyes glued up towards the cranes instead of watching where I’m walking, they find it pretty odd too. Usually my associations with large-scale developments are negative – there goes space that could have been a park, up goes another uninspiring block of flats, etc., etc. – but these days as I walk past these sites, those thoughts are momentarily suspended. In their place is a sense of awe and an appreciation of the beauty in found in unexpected places. This entry was posted in Explore, Sydney and tagged cranes, lucy, sydney, UTS. Lucy is curious and is inspired by other peoples’ brains. She is completing a Master of Design at the University of Technology, Sydney (UTS) and working for the Designing Out Crime Research Centre. Though she’s done a few different things, basically Lucy likes to make stuff and to draw. She’d be pretty happy if she could be paid (well) to do just that. In her spare time she thinks up bad puns, laughs to herself and then occasionally draws them for lucekannon.com.